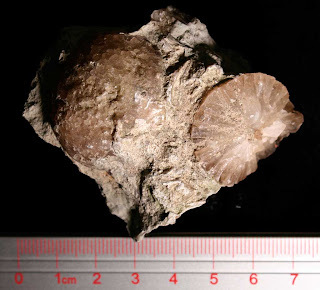 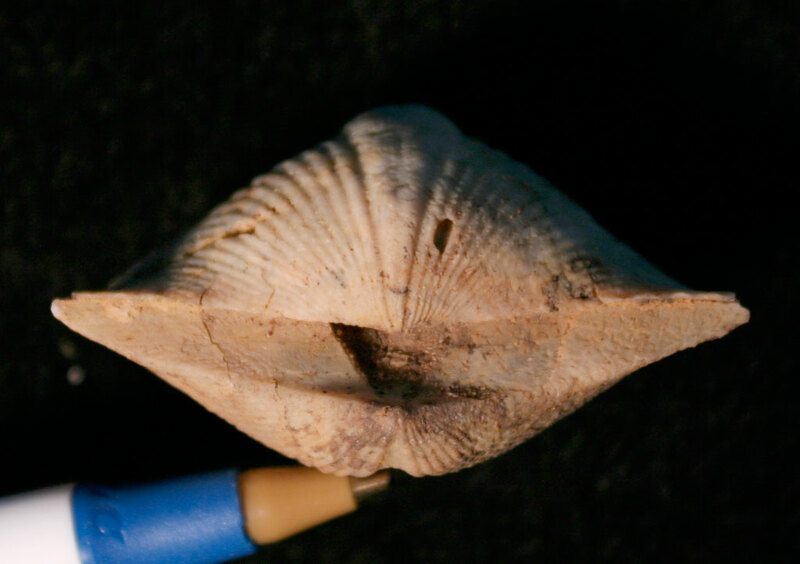 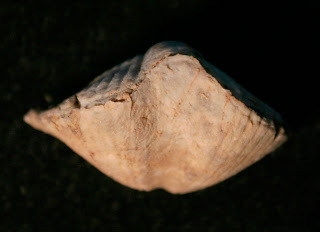 Platystrophia ponderosa brachiopod found in McMillan Formation of Spencer County, Kentucky. Creature lived in the Ordovician Period. 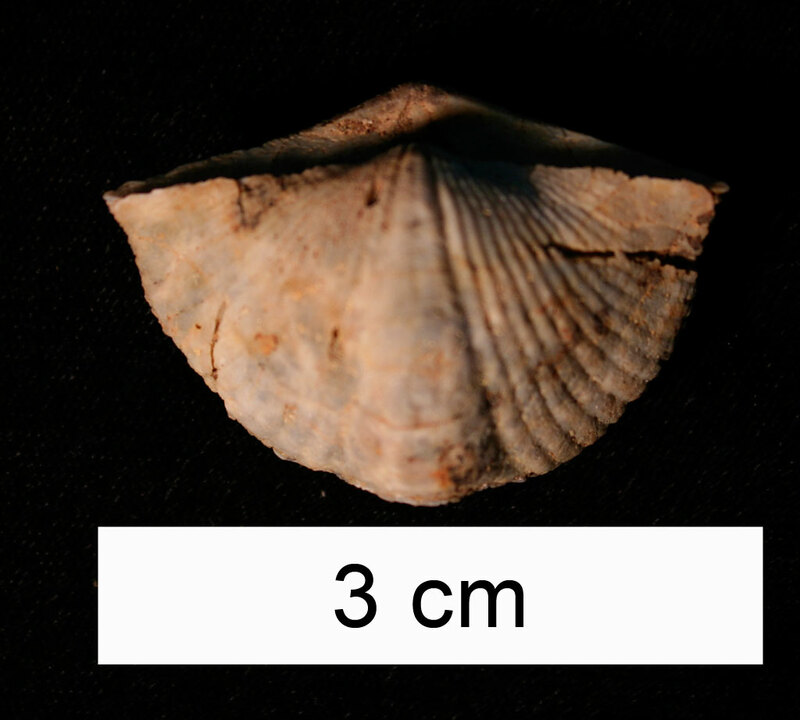 The brachiopod is the state fossil of Kentucky. 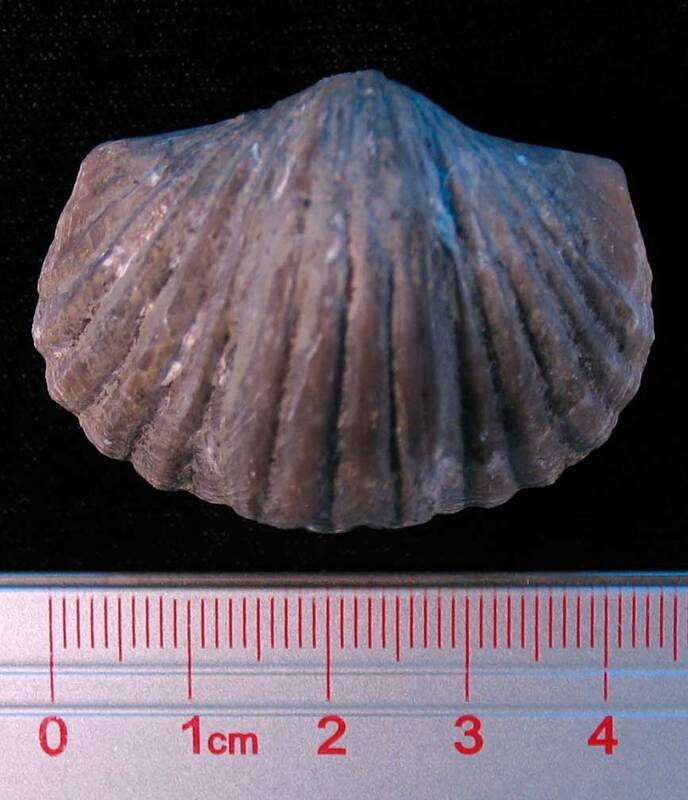 This brachiopod fossil might be called Spinocyrtia granulosa? or Orthospirifer. 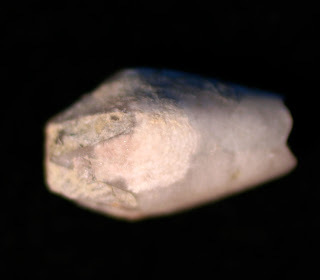 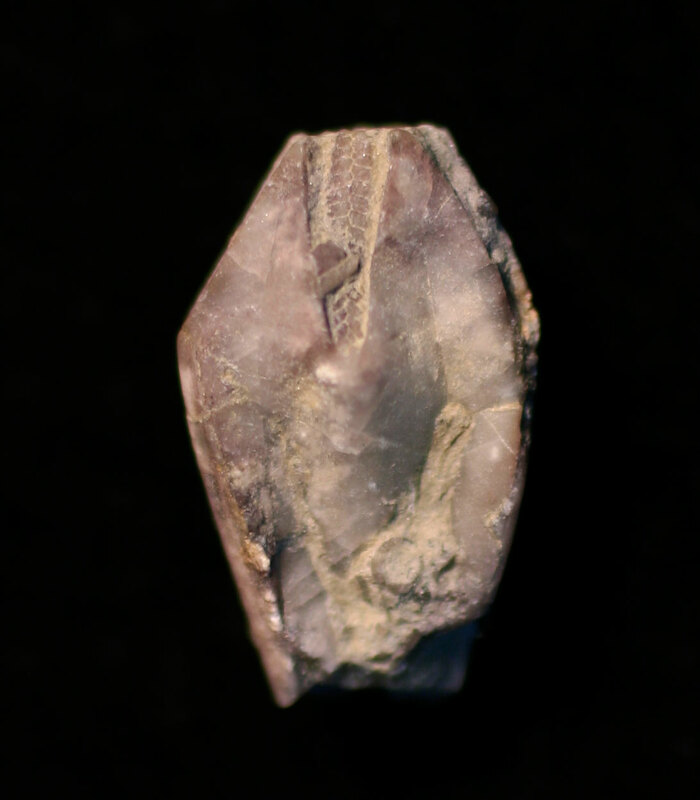 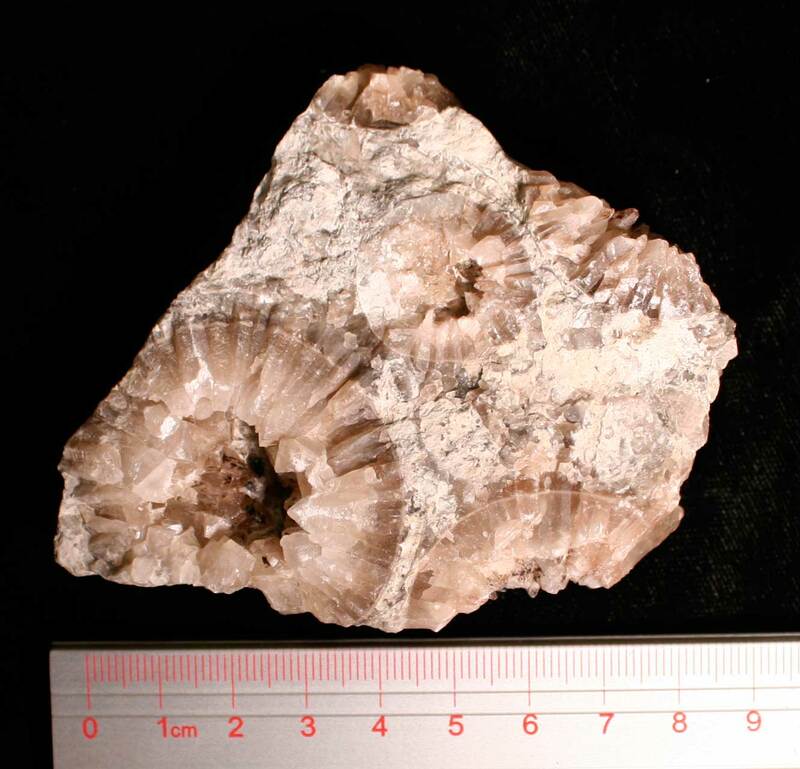 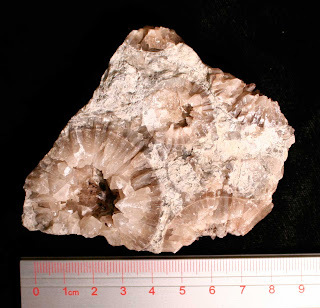 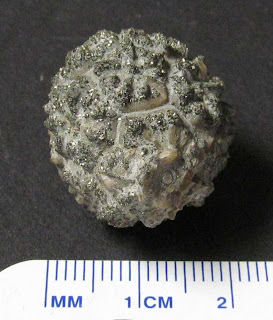 It was found in the Beechwood Limestone of Clark County, Indiana. 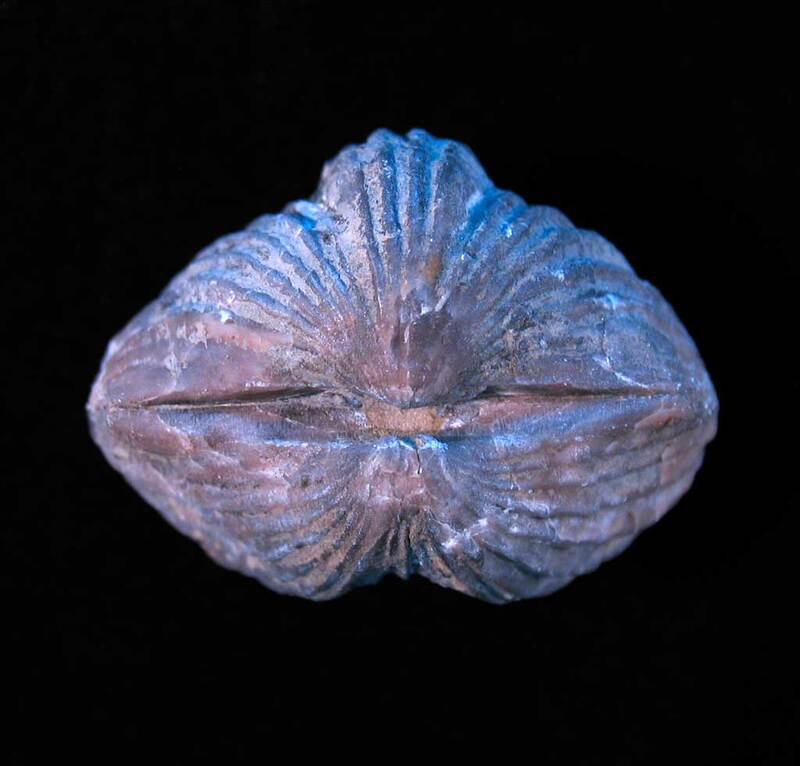 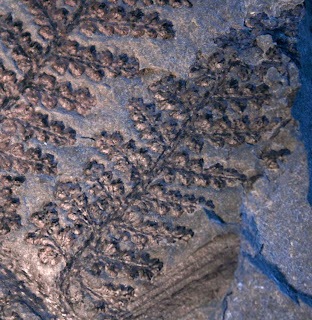 This animal lived in Middle Devonian times. It might also have some trace fossils on it maybe made by some sort of gastropod. 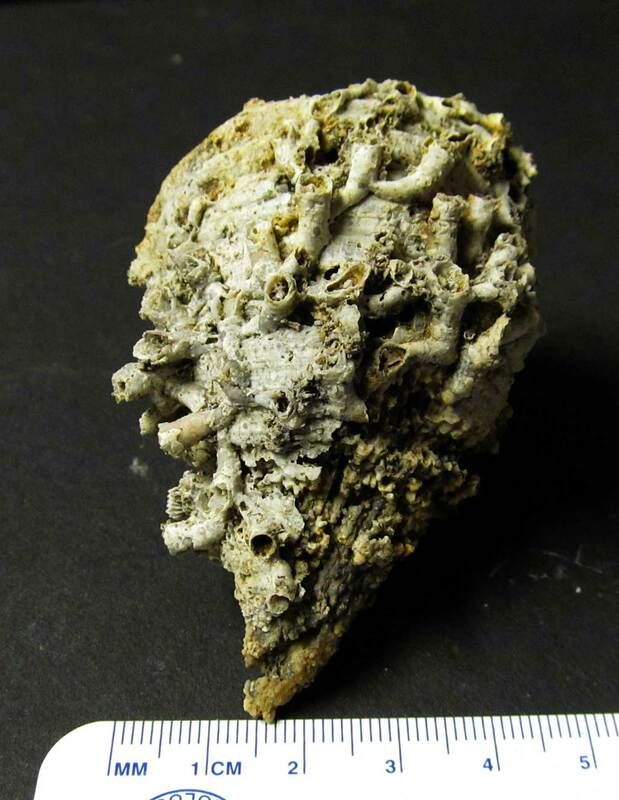 A fine Middle Devonian fossil specimen of a Heliophyllum infundibulum horn coral hosting another coral colony of Aulocystis transitorius. 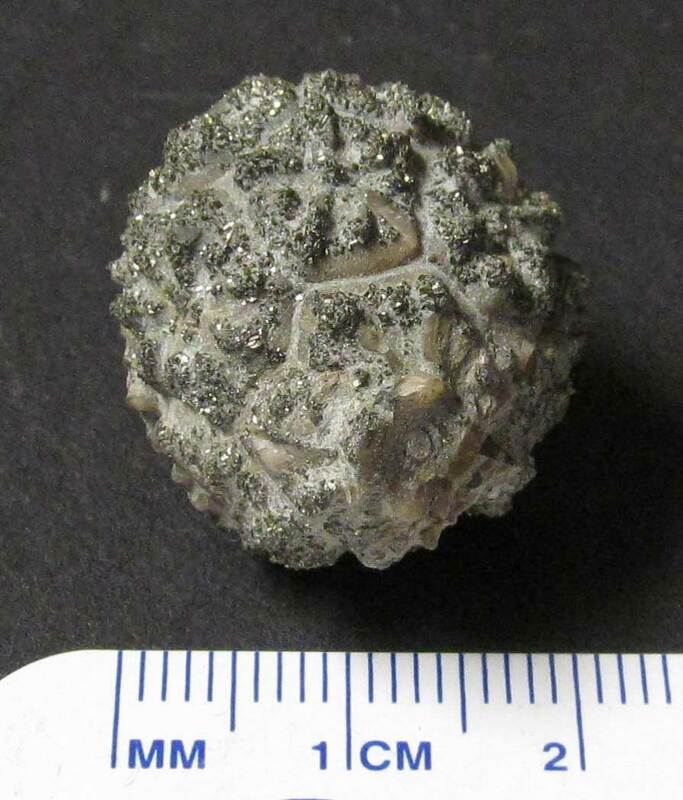 I found this coral in the Beechwood Limestone of Clark County, Indiana and my cousin Kenny cleaned it with air abrasion. 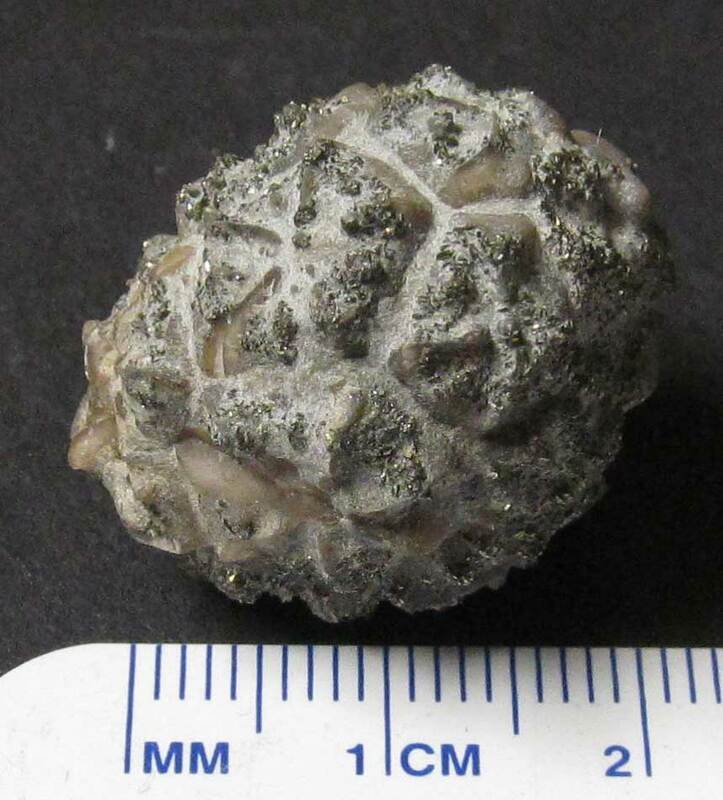 It looks so much different when I spotted it. 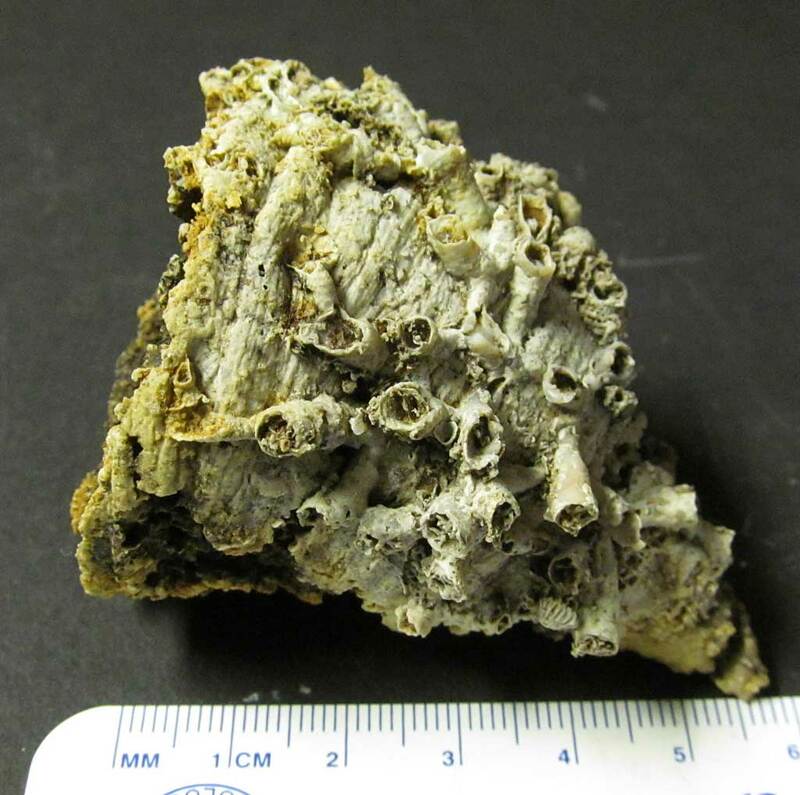 One could tell it was a horn coral and had another coral colony but WOW he really uncovered a nice size colony on this specimen. 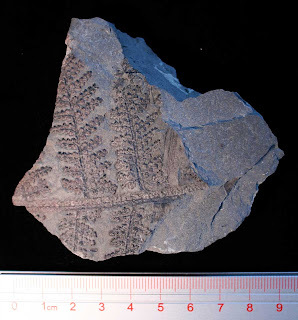 This fossil appears to be a Caryocrinites persculptis? 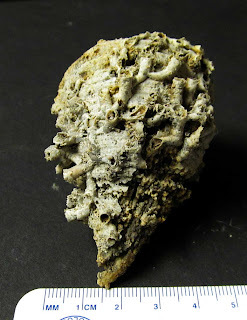 cystoid encrusted with pyrite crystals. 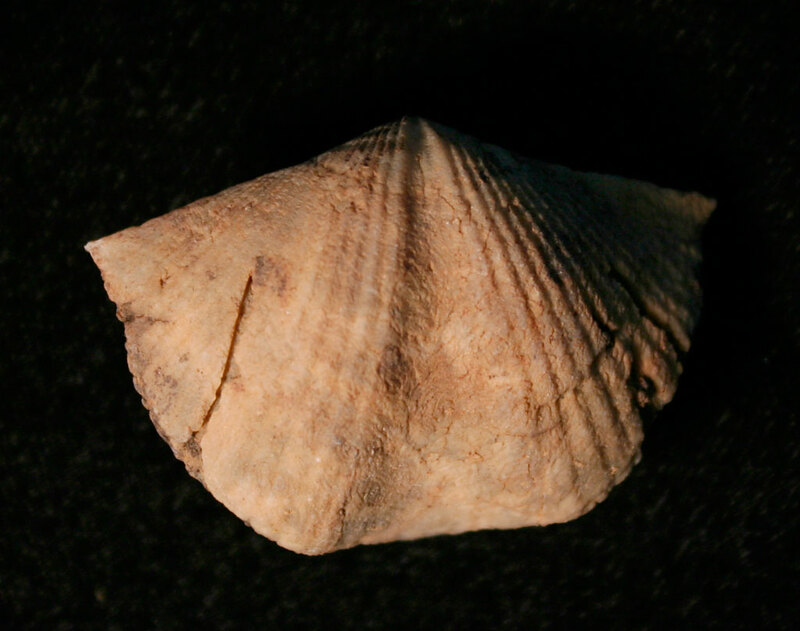 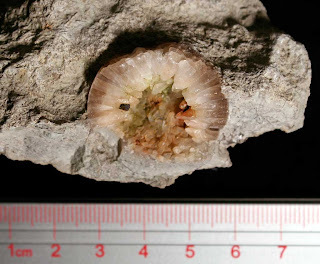 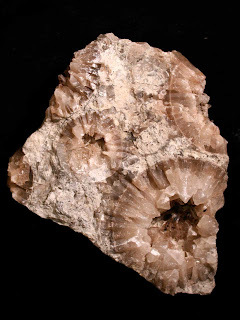 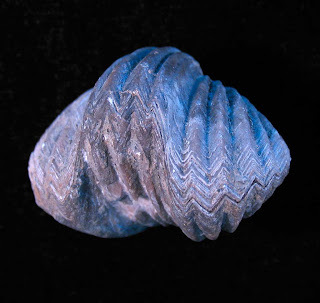 It was found in the Waldron Shale of Clark County, Indiana. 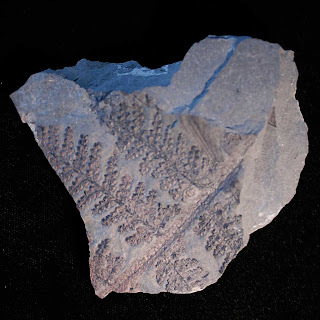 Fossil dates to the Middle Silurian Period. 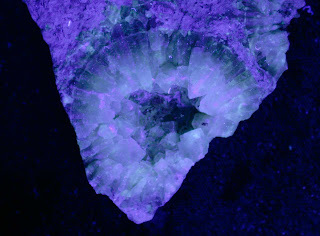 Thanks to Kenny for the images! See more specimens at this web site.